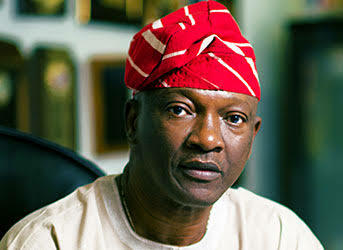 Governorship candidate of the Peoples Democratic Party (PDP) in Lagos State, Mr Jimi Agbaje, has said the decision of the Lagos State government to remove heavy-duty vehicles from the roads of Lagos due to President Muhammadu Buhari’s visit to the state reveals hypocrisy and disdain for the masses. Speaking at a town hall meeting in the state on Friday, Agbaje said government knew the solution to the incessant traffic jam on major highways but had decided to punish residents of the state. He said it was curious that government had always acted as if it could not clear the trucks before the president’s visit. Agbaje insisted the act shows that the state and federal government do not care about the welfare of the people. He however promised to improve the traffic situation in the state if elected as governor.